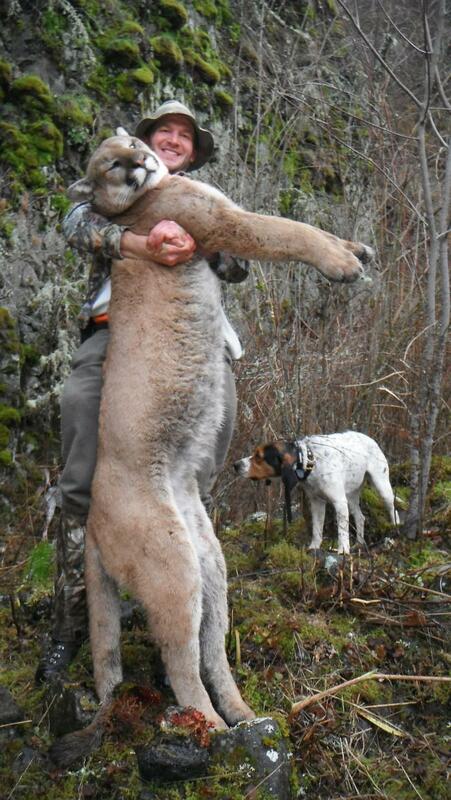 Mountain lion hunts are conducted out of our main lodge from December through March. We offer 5 and 7 day packages. With each hunt we provide 2 guides per hunter, making the guest experience and chances for success unmatched. We will hunt with or without snow and methods involve foot, ATV, snomobile, and truck. Once we find a track or the hounds take a scent, the race begins! 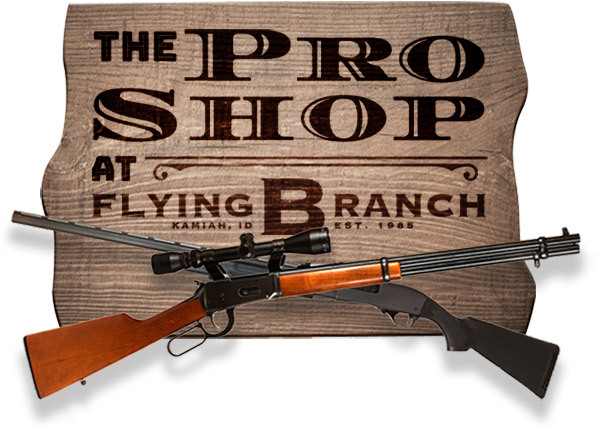 Our country is steep and rugged and it can be one of the most challenging and physically demanding big game hunts we offer. Once you secure your dates we do not mix hunt groups. 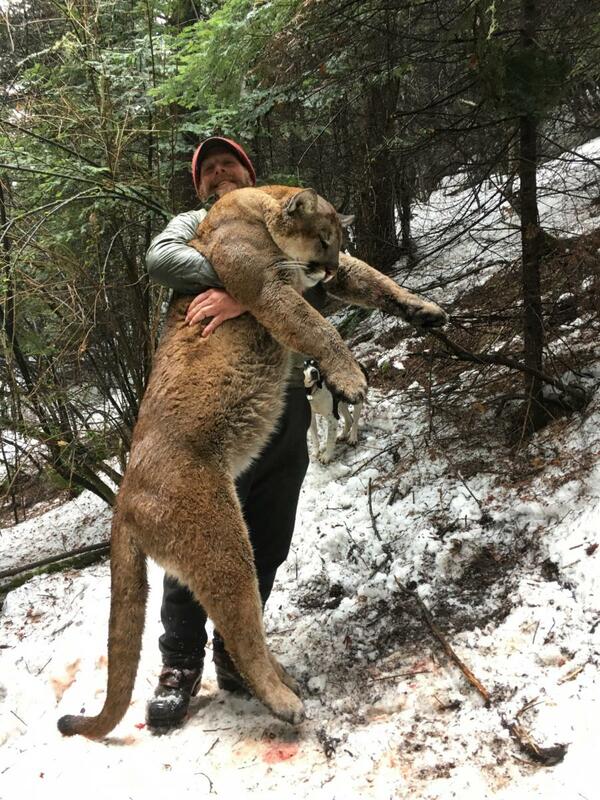 You would be the only mountain lion hunter during your stay.